With simple contemporary styling this designer toothbrush holder mixes chromed brass with frosted glass, producing a lovely minimalist design. 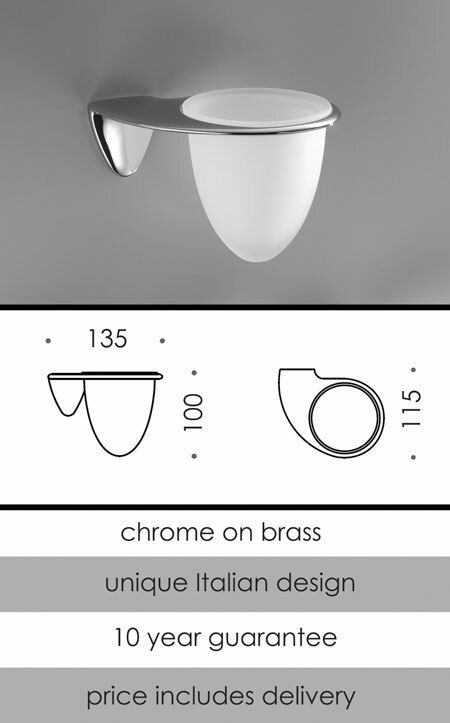 Designed in Italy and part of a full bathroom accessory collection of luxury fittings. * Beautiful styling & quality.